Licensed From – Music For Freaks Ltd.
Phonographic Copyright (p) – The Leaf Label Ltd.
Phonographic Copyright (p) – Music For Freaks Ltd. Issued in the standard "Fabric packaging" of a metal case with an outer card sleeve plus 4-page booklet inside. Track 10: Published by Chrysalis Music. ℗2001 The Leaf Label Ltd.
Track 17: Written for General Atmospherics, taken from MFF12012: 'The i/o EP'. Published by copyright control, licensed courtesy of Music For Freaks Ltd.
"On-Tick" adjusted to "On A Tick"
"Monkeytown GmbH" adjusted to "Monkeytown Music GmbH"
℗ & © 2011 fabric Records. The copyright in this sound recording and artwork is owned by fabric Records. Dave Turner at 360 Mastering. "I would like to thank Ellie at Tracksuit, the cc-collective (thanks Mosca), Sasha Lewis, Julien Green, DaWreck on Discogs, Fergus at Solar, Melissa at Tailored, Joe Moose Demby, Persian, Jess Jackson, Mike Millrain, Scott Garcia, Dan Snaith, Noodles, all the record shops (Phonica, SOTU, Honest Jon's, Discogs, eBay etc etc etc), every artist and label that gave permission for their music to be used for this mix, everyone at fabric, and always Kathryn and Tallulah." 5 years on, this can be considered a classic. Recommended! This is hands down the best mix in the entire Fabriclive series. The mix starts out with a distinctive UK Garage beat with some deep house vocals filtered in. It brings in some techno and minimal, and we set off on a fantastic journey through some groovy, funky, and dirty house music. What an absolutely fantastic mix! 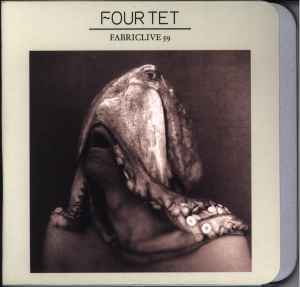 Another masterpiece in the Fabriclive series, all recorded from vinyl as well as I understand, quality.